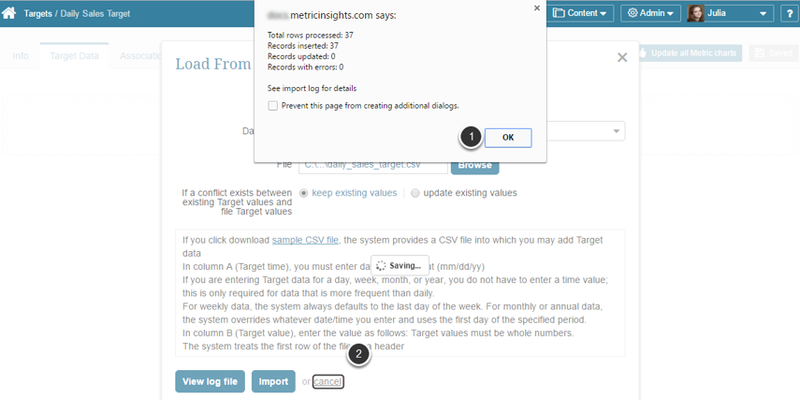 If the data for your Target is in a CSV file (delimited by a comma or other character), you can use the Load from File feature to upload the data. You can load both un-Dimensioned or Dimensioned Target data using this method. 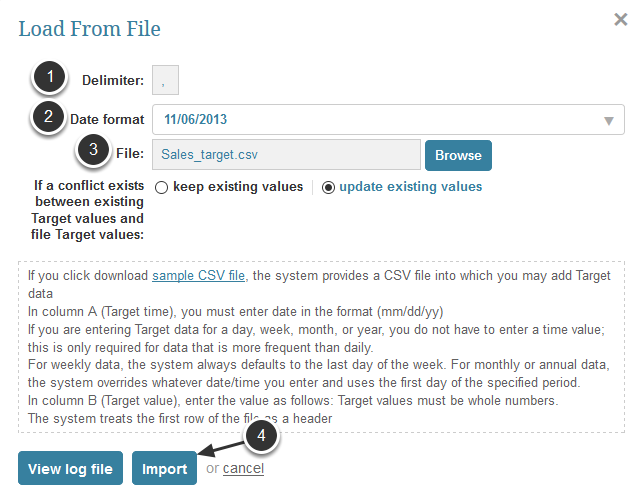 NOTE: The format of the Target Editor is slightly different in version 3. 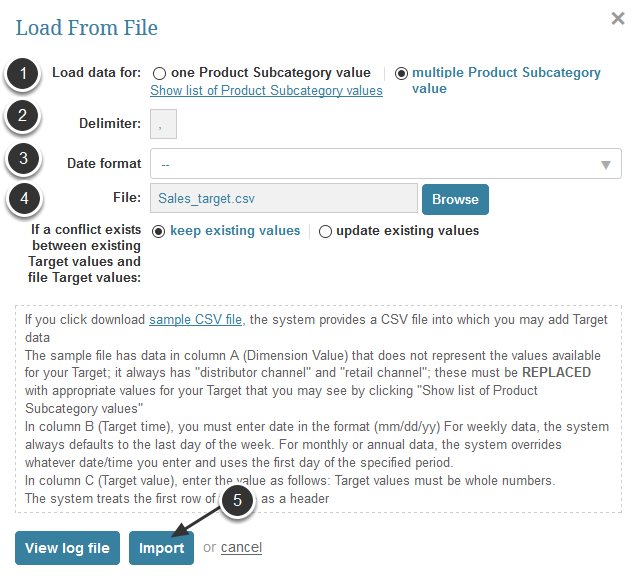 In the Target Editor make sure that the Sourced from field is set to 'entered data'.